Throughout my life, art has been a way for me to feel and heal. When I didn't feel safe enough to express myself verbally or by writing in journals that someone could read, I would draw. Drawing out my emotions was my release. Just as much as I need to release anxiety and pain, it is also an opportunity to create a new vision for my life... to paint the picture that I want to see in my reality. Because my work has always been so personal, I was very shy about sharing it. But once I realized how much my paintings inspired others, it became my ambition for my art to not only be a journey of self discovery, but to arouse passions of hope for humanity and to speak in a universal voice for the family of man. I hope to bring my lexicon of emotions into the lives of people who are searching for inspiration, optimism and love. I also work with various organization by setting up interactive art workshops that engage community member. Please visit dialart.org for more information. Check out more at the artist website. I am a storyteller/writer and painter. I work in mixed media, producing pieces that are somewhat 3d on the surface. I use a variety of techniques and materials to produce the works. My first art exhibit was at the Joan Ankrum Gallery in Hollywood in 1981. I have participated in the Oceanside Art Walk; this past November I organized and finished a public collaborative painting, which I will feature at my next hanging. I believe that the creative spark never leaves us. 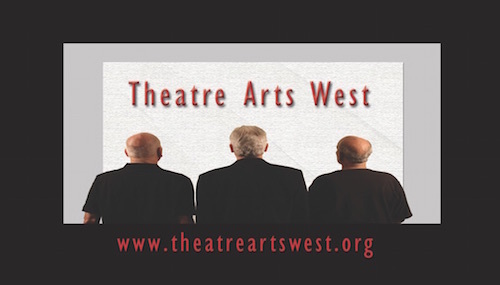 I enjoy the theatre, and am lucky enough to be a part of Theatre Arts West. I hope to have another screenplay finished within the next few months. I was lucky enough to have a short film, "Sheep and Wolf," in the 2012 Oceanside International Film Festival. I am a poet, and perform regularly with Full Moon Poets, New Poetic Brew, and the Ruckus at the Duck. Check out more at the artist website edcoonce.com. Unleash your creative during the November 7th Oceanside Art Walk at Theatre Arts West’s community art project – located at Seaside Flowers, 212-C (Artist Alley) where you’ll be able to paint a piece of material that will become part of a work of art that will be gifted to the City on behalf of Oceanside Art Walk. Children, teens, and adults welcome. This triptych is an example of community art created in Temecula. Carley Woods is a senior at Classical Academy High School in Escondido, CA. Her focus is art and she will continue this field of study in college. Carley enjoys both oil and acrylic painting as well as drawing. She is also part of her High School’s water polo and swim team. Carley approached the Education Department at Oceanside Museum of Art to help fulfill her senior project, a community undertaking in her field of study. Be sure to visit Carley on the terrace at Oceanside Museum of Art and stay tuned for future projects! Past projects include: acrylic painting demonstration with fellow students; helping participants cut and design their own snow flakes using special wax paper; an art board for participants to creatively display their New Year’s resolutions; oil painting on mirror where participants took a selfie; creating a group mandala.